While global awareness of autism spectrum disorder (ASD) has grown in recent years; there are little to no interventions specifically designed to treat this disorder. Its genetic causes are extremely diverse, numerous, and complex, with several different classes of genetic variants playing a role. To filter through this complexity and develop solutions targeted for ASD, researchers need access to large volumes of genetic and phenotypic data. 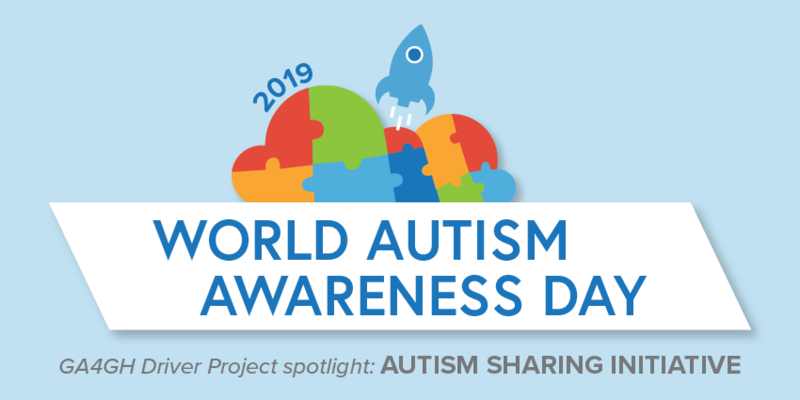 In 2019, Autism Sharing Initiative (ASI) was launched to accelerate research and new discoveries in autism through data sharing. With representation from more than fifty science and advocacy institutions, universities, patient groups, and nonprofit foundations across fifteen countries on four continents, ASI is building an infrastructure to connect the largest and most diverse collections of autism data around the world. Announced as a new GA4GH Driver Project in 2019, ASI is now working with GA4GH to develop standards that will enable the first federated, global network for sharing autism data. “As part of this initiative, we will enable researchers around the world to responsibly and efficiently find, access, and analyze data, using portals built on top of GA4GH standards,” said Thomas Frazier, Chief Science Officer of Autism Speaks and Driver Project Champion. Members of ASI are already relying on several standards developed by GA4GH, from Discovery, Data Access & Researcher Identity, and Cloud Work Streams, and intend to collaborate on and leverage even more standards currently under development.